Our popular "On Track" events are designed to showcase an entire nation's specific tank line and help you unlock and purchase higher-tier tanks! If a line of vehicles is On Track, you'll receive substantial discounts on each listed vehicle on that line all the way to tier X. We've also got rewarding missions to equip your new tier X vehicle while you unlock it -- sometimes you can earn a Premium vehicle! This latest On Track features the French light and medium tank line. Unique by design, French tanks are often contrary and passionate vehicles with a certain Gallic flair about them. Solid knowledge of game mechanics and vehicle strengths are key to success with these tanks! Early French "light" tanks are renowned for their thick armor and lack of speed, before shedding armor and upgrading their guns! Higher-tier light and medium tanks are ideal for mobile map control and with autoloading cannons; you can unleash a flurry of firepower in seconds! These fast French tanks are perfect for drifting with the new physics coming soon in Update 9.14! At the top of the tree is the amazing Bat.-Châtillon 25 t, a fast, high-firepower medium tank which is deadly 1-on-1 and under the right circumstances can make even the most experienced tanker lose their cool! As with the fine art of mime, making the perfect crepe, and fighting with the English, timing is everything in French light and medium combat! What's the key to higher-tier French light and medium tanks? Choose your moment carefully and fire off your entire magazine for maximum effect! Have a line of retreat in mind as you make your escape to reload! All in all, On Tracks offer a huge variety of gameplay, some great tanks, the opportunity to save sacks full of Credits with discounts and a chance to earn equipment for your tanks. 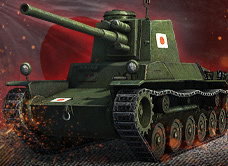 If you complete all the missions, you've also got the chance to take home a classic: the accurate, fast-firing Japanese Type 3 Chi-Nu Kai medium tank. Why are we letting you earn a Japanese medium tank in a French On Track event? If you're headed up the French tech tree, why stop there? We encourage you to expand your cultural horizons even further, which we assure you is unrelated to having no French Premium medium tanks at that tier right now. With that said, the Chi-Nu-Kai is perfect for training your Japanese medium tank Crews while earning you piles of Credits! Complete On Track to the B-C 25 t four times. Complete On Track to the B-C 25 t eight times. Complete On Track to the B-C 25 t 10 times.